IT company offering video over IP solutions for businesses. 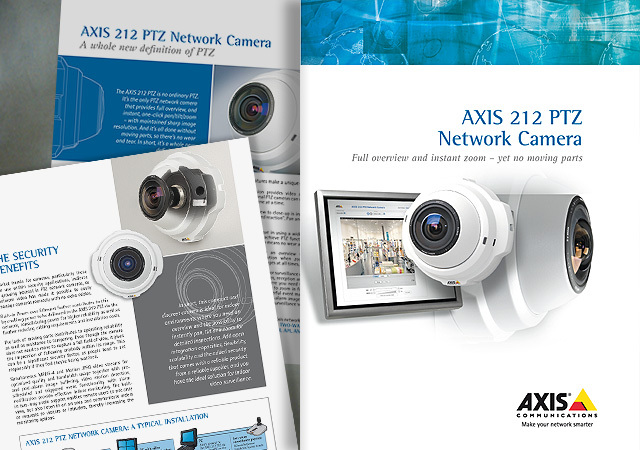 World leader in professional video over IP, Axis focuses its activity on surveillance and remote control cameras. Product brochure as a triptych - Q5 format - 6 pages. Descriptive brochure for a dome network camera.